Airbrushed paintings can express an entirely new depth of artistic creativity. The combination of atomized paint, easy and soft transition between colors, and precision control make it an inventive means of expressing yourself on materials ranging from clothing to the side of a van. 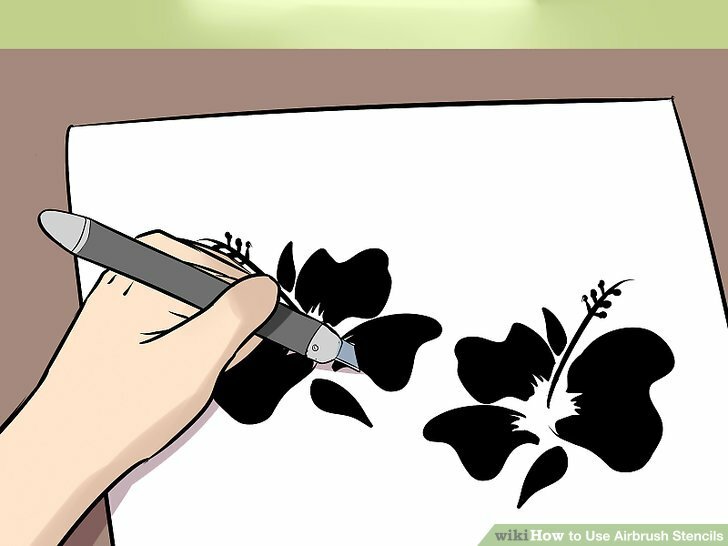 If you’ve ever wanted to learn about airbrush painting but never knew how to start, here’s an easy guide on how to start airbrushing in three easy steps. You can’t exactly airbrush without a brush to…air with. For the sake of this tutorial, we’ll be using a double-action airbrush, so keep that in mind. First, insert the nozzle into the main body of the brush, turning until tight with a small wrench. Next, insert the trigger into the port on the side of the brush (if one half of the top is textured, turn it so that side is facing towards the nozzle). Behind it, insert the auxiliary trigger so that the thinner end is facing upwards and resting against the trigger. Turn it so that the hole in the thicker end is aligned with the hole in the main body of the brush. Insert the thickest needle guide through the auxiliary trigger while making sure to match the shape of the guide with the trigger’s hole (flat to flat, round to round). Next, slip a small spring over the end sticking out and screw on the spring guide over that until tight. Slowly and carefully insert the needle point-first through the hole on the guide, sliding it in until snug in place. When the needle is in place, attach the handle over the end. Finally, screw on the paint cup to the side of the brush. To paint with your brush, you’ll need an air compressor. Before you do anything, though, ensure your compressor delivers the right amount of pressure that your brush needs to function (it should tell you on the box or in an instruction manual). Too low and you’ll likely not get good results, but too high and you could break it. Ensure your compressor has a clean air filter, as a dirty filter could lead to poor airflow or muddied paint. Donaldson compressed air filters are good for this, but use the brand you prefer. Plug the compressor in and attach the hose to the last remaining spot on your brush and leave to compress. When your brush is ready to spray, you can pour your paint into the paint cup. Some brushes may come with a lid to keep you from splashing paint around, but if yours doesn’t, be careful when moving your brush. Over a surface you don’t mind getting paint on, press the trigger to start the spray. Once paint flows freely, you’ll be ready to make art. Airbrush painting may seem scary, but it’s a simple matter once you’ve got the right equipment. Always remember to clean your instruments thoroughly after use and to place on the brush’s cap when not in use to protect yourself and your needle from each other.